I absolutely love these autumnal designs, I live in the sub-tropics and unfortunately the seasonal displays aren’t as obvious here, but I grew up down south and still miss them, so these designs really spoke to me. I used one of the large cards for the background on the “sweater weather” card and I love that they layer so well on a standard card base. I only had to trim 0.8cm from one end for a perfect fit 🙂 The sentiment was die cut from one of the small cards using the Stitched Shapes Framelits and the little banner behind from the reverse of the same card. I added some Copper Metallic Thread and popped it up with dimensionals. A few Glitter Enamel Dots add some extra sparkle and tie in nicely with the Old Olive card base. The “love this” card uses one of the small cards and a sentiment trimmed from another one added to the top. I added a small border of Soft Suede and a little Crushed Curry Baker’s Twine to cover the join. I popped this up on the card front which has part of one the larger cards adhered to one side. The “let’s stay in” card has a Marina Mist base and one of the large cards layered onto Whisper White with a narrow border. The sentiment was die cut using the Stitched Shapes Framelits from the background design, so a square of Marina Mist was used to cover the hole and the sentiment offset layered on top. A little bit of Silver 1/8″ Ribbon and a few Glitter Enamel Dots add some sparkle and tie in nicely with the wintery feel of this card. My final card uses two of the smaller cards – I just had to use the camera one, it was too cute 🙂 I added these two cards to a Dapper Denim card base and trimmed a piece from another small card as a background for the sentiment. The sentiment and camera are stickers from the pack and I popped the camera up using dimensionals for some extra interest. I was quite restrained on this card – that’s so hard to do – and added just one Glitter Enamel Dot in the centre of the camera. I hoped you enjoyed this look at the new Memories & More range. I had a wonderful time playing with this new product and will be using it stacks more in the future. One of the things I think is great about this product is that each pack is like a mini card kit, there are sentiments, embellishments and so many designs, all you need to add are card bases and any extra pretties you desire. 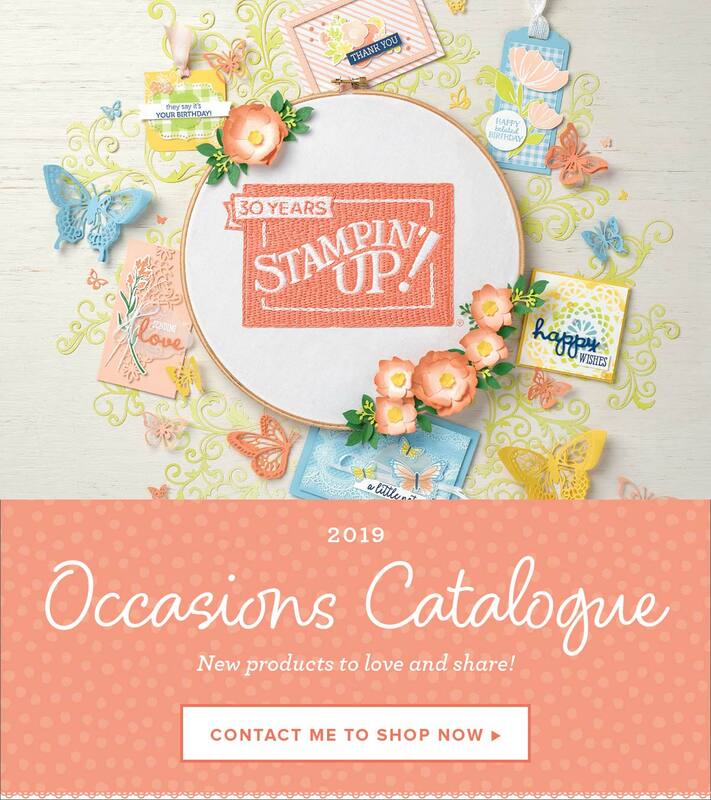 Of course, you can step it up and stamp, add extra DSP and being a Stampin’ Up! product you are guaranteed co-ordination with a huge range of other products to help you create the perfect project. Previous Post Stylized Birthday… Step-it-Up!